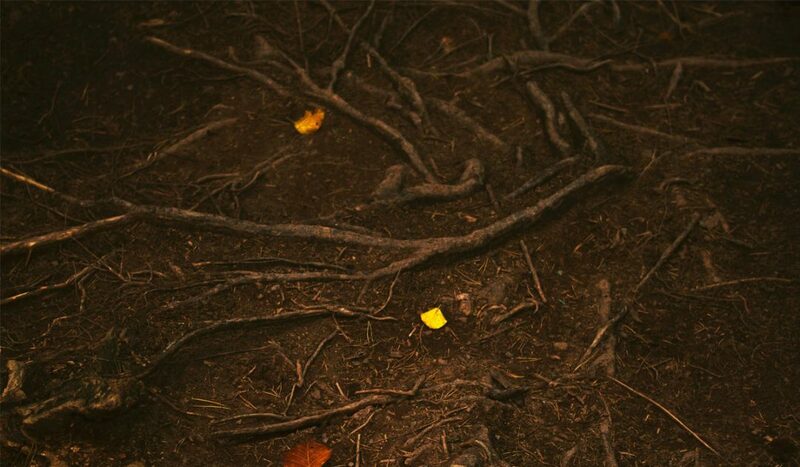 Known only as Lady Fern, the enigmatic owner and creator of Return to the Roots line of elixirs, she calls herself a magician and photographer. 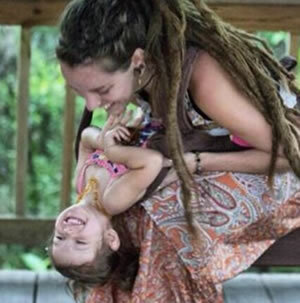 She describes her exciting adventure of the natural world as “here on earth to laugh & celebrate all the way from the cosmic realms of the stars&rainbows.” A single mama, she heart crafts and hand blends her teas and elixirs in small batches with intention using ingredients which are home grown, ethically wild harvested or sustainably sourced. 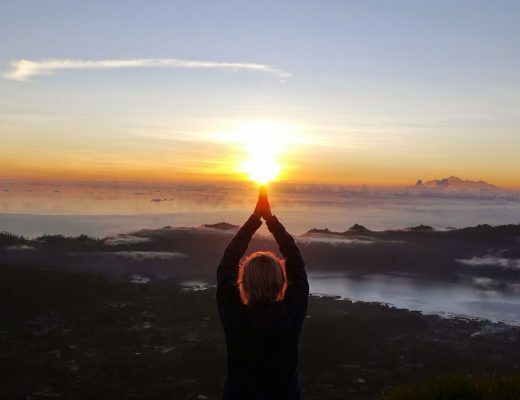 “I am here to share a bounty of natural world explorations, feeling and knowing the warm embrace of the inspirational surroundings of mama earth. Never am I without something to keep my hands busy & heart full of light, of love. All Return to the Roots Elixirs come in reusable 4 oz. frosted glass jars. 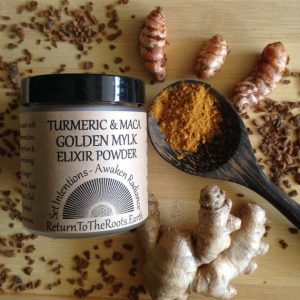 Tumeric & Maca Golden Mylk Elixir Powder is based on a traditional Ayurveda recipe with a twist, a delicious & nourishing tonic which can be consumed daily for the aid of general health, immune support, inflammation relief, circulation & digestive aid. Simple to prepare with a bio-available formula for the use of the body. Contains Turmeric Root, Ginger Root, Powdered Cinnamon Bark, Red and Black Maca Root, Chili, Cracked Black Peppercorn. 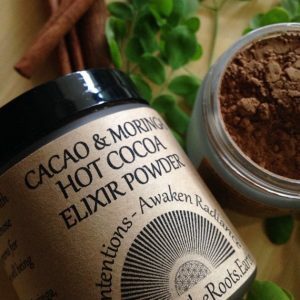 Cacao & Moringa Hot Cocoa Elixir Powder is a delicious and nourishing tonic for general health, immune boosting, inflammation lowering, circulation improving and stamina enhancing. 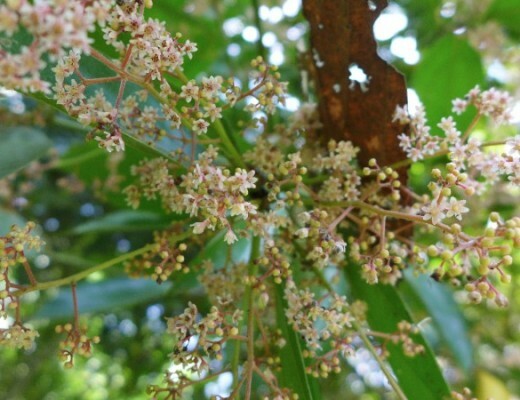 Bioavailable formula for use by the body. Contains Cacao, Tulsi, Chili, Moringa, Turmeric, Lucuma, Cinnamon, Cracked Cell Chlorella, Salt Blend, Cracked Peppercorn and Vanilla Bean. 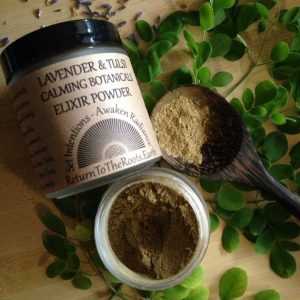 Lavender & Tulsi Calming Botanicals Elixir Powder is a combination of herbs, roots, spices and adaptogens to nourish, relax and repair. 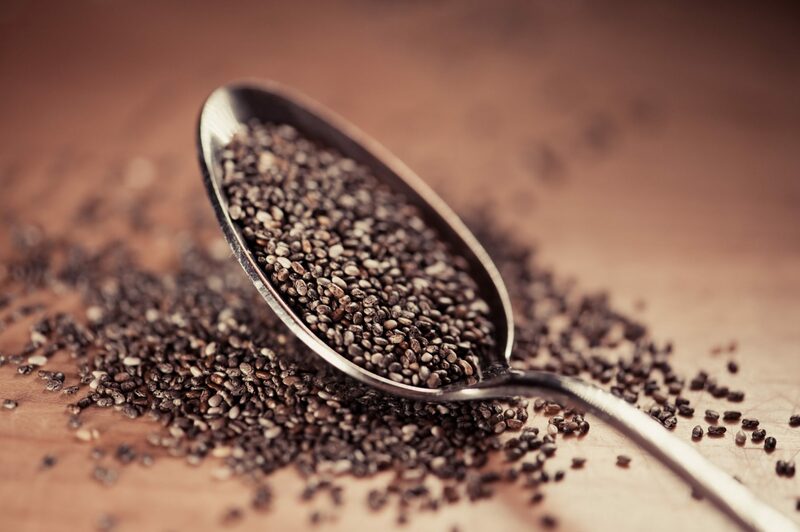 A delicious and nourishing mixture which can be a gentle calming aid as well as an aid for improving general health, boosting the immune system and lowering inflammation. Contains Tulsi, Ashwagandha Root, Lucuma, Lavender, Rose, Linden, Turmeric, Ginger, Cinnamon, Nutmeg, Clove and Vanilla. 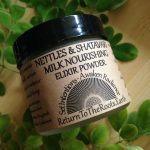 Nettles & Shatavari Milk Nourishing Elixir Powder is a combination of herbs, roots, spices and adaptogens to nourish and repair. A healthy and nourishing green blend for general health, milk support for expecting or nursing mamas and immunity function. Contains Shatavari, Cardamom, Fennel, Marshmallow, Fenugreek, Moringa, Blessed Thistle and Stinging Nettles.